Usually in rich deciduous forests, often near streams. 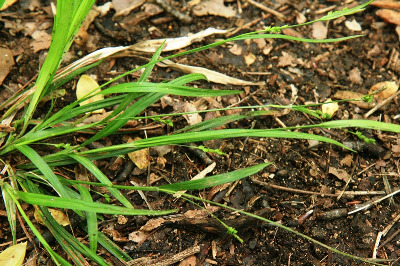 Carex laxiculmis var. copulata (L. H. Bailey) Fernald, with green leaves 4.5–8.5 mm wide and C. laxiculmis var. laxiculmis with glaucous leaves 6.5–11.5 mm wide both have essentially the same range in Michigan, but var. copulata is more common, and more frequently occurs in wetter forests. MICHIGAN FLORA ONLINE. A. A. Reznicek, E. G. Voss, & B. S. Walters. February 2011. University of Michigan. Web. April 21, 2019. https://michiganflora.net/species.aspx?id=991.